Gentle Enterprises is the umbrella site for the projects created and managed by Richard Gentle. Gentle Enterprises was originally conceived in 1987 and since then, a number of projects and services have been developed which you can discover more about through this website. Writing and Book Publications: Richard produces a number of self-published books and booklets on metaphysics and personal development, new thought, and Law of Attraction – helping people to make better life choices and achieve greater fulfilment. Website Design and Consultation: Liaising with individuals, clubs, special interest groups, and small to medium sized businesses, to create high quality, accessible ‘informational’ websites. WordPress training is also offered. Art Teaching: Example of a weekly beginners art group run at riversMEET Café and Crafts, originally set up and run by Richard. Chat to Change: Talks and workshops for individuals and groups, to meet in person, to discuss and explore the things that really matter in their lives from a spiritual/alternative viewpoint. 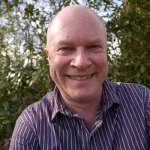 Founder member of Holistic Connections.